She's so elegant isn't she? All the research on Sofia ended up resulting in a purchase as the one common denominator in all this fab inspiration is the Mary-Jane style footwear. The picture above made me go for for my latest acquisition as we had a 50th birthday bash to attend at the weekend and my Topshop Daisy dress was crying out for another airing. 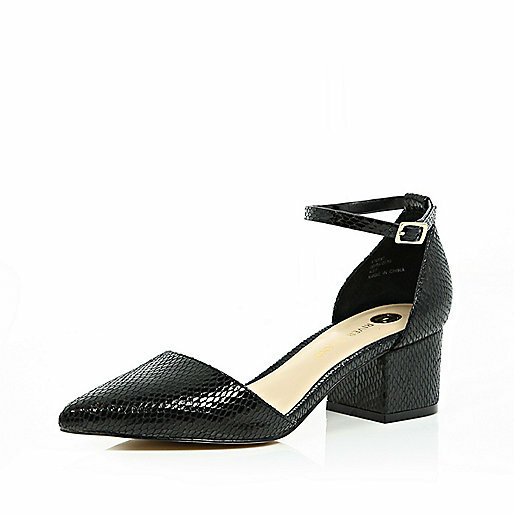 I knew this style of shoe would be perfect with my dress so I ordered these from River Island. Then they were out again with my dress on Saturday. They've given my party wardrobe a little lift as these will be perfect with my bargain Whistles satin crop trousers I blogged about here and they will also be brilliant with the culottes that I had actually packed away for Winter but that I will be retrieving! From the inspiration above I can see there will be so many ways in which I can wear them and so I'm extremely happy with this little purchase! Have you found any party shoes that are breathing a bit of new life into your wardrobe....I'd love to hear! A completely mixed bag of outfits for the rest of the week! What is going on with the weather?! Now that I have scored these shoes I think that just about concludes my purchases for 2015....though with a cold snap promised for the weekend a new pair Uggs from Santa is at the top of Christmas wish list! I have been keeping a capsule wardrobe in mind, though my version of it consists of in the region of 100 A/W pieces....which is still more than I'd like but everything thing I have bought so far has been on a one in, one out basis and that has worked really well for me. There is still work to be done though and I'm refining all the time, but for now I'm going to work with what I've got. I'll be back with my Christmas wish list, I'll warn you it's pretty meagre at the moment...though I'll probably get whipped up in the buying frenzy that is Black Friday next week! Anyone already making lists for that yet? Wishing you a happy mid-week....be back soon! Loving the new shoes Michelle, just gorgeous. Ahh the lovely Sofia - I adore her. And I adore your new shoes too - I went to try them on the other day and nearly walked out with them. I'm just making my mind up over a couple of purchases right now so if they go back, the RI shoes might come home with me.